← Finally, A Media Outlet Writes an Accurate Story on Ontario’s Next Provincial Election! 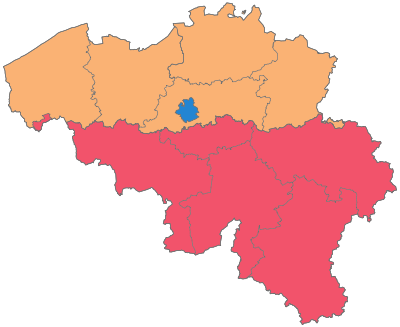 The charming non-country of Belgium shows the dangers of proportional representation. The Christian Democrats are always in power and can never be turfed out! Trudeau II unwittingly made John Pepall’s case. In his 2010 book Against Reform, Pepall attributed most reform movements with dissatisfaction not with the system or institutions of government, but rather, with the policies or attitudes of the government of the day, or of the political party that happened to be in government at the time. This pattern works on both the Left and the Right. For instance, after Stephen Harper became Prime Minister in 2006, he borrowed the Reform Party’s old matra, “The West Wants In!” and proclaimed, “The West is in.” Not surprisingly, rates of Western alienation decreased once the Conservatives formed government, and arguments for institutional reform, like the Triple-E Senate, also fell by the wayside – because what Western Conservatives really wanted was a Conservative government, not a Triple-E Senate with a Liberal government in power. Precisely the same pattern has occurred on electoral reform. When the Conservatives won a parliamentary majority in 2011 with only 39.6% of the popular vote, some Liberals cried foul. But when the Liberals won an even larger parliamentary majority in 2015 with only 39.5% of the popular vote, the Liberals’ righteous indignation against single-member plurality evapourated and has since been replaced by fundamentally unserious apathetic platitudes on electoral reform. The New Democrats have at least opposed single-member plurality consistently over time, owing to their inability to form government at the federal level under the current system. It is the ability to “throw the bums out,” more even than the ability to choose a new government, that is the most striking practical virtue of FPTP. Our governments are responsible, must answer to the voters, and are regularly defeated. Joseph Schumpeter (1987: 272) and Karl Popper (1963 and 1988, April 23) saw the ability to get rid of an unsatisfactory government as the purpose and test of democracy and condemned proportional representation for not seeing this. To “throw the bums out” is almost impossible with proportional representation. In the 50 years after 1945 in 103 elections in Belgium, Germany, Italy, Japan, the Netherlands, Sweden, and Switzerland, the major governing party was only thrown from office six times (Pinto-Duschinsky, 1998, September 25). Major parties have remained in government for decades under proportional representation despite wide fluctuations in their votes. Sous M. [Stephen] Harper, il y avait tellement de gens mécontents du gouvernement et de son approche que les gens disaient “ça prend une réforme électorale pour ne plus avoir de gouvernement qu’on n’aime pas”. Or, sous le système actuel, ils ont maintenant un gouvernement avec lequel ils sont plus satisfaits. Et la motivation de vouloir changer le système électoral est moins percutante. Under Mr. Harper, there were so many people dissatisfied with the government and its approach, and people said, “It would take electoral reform to no longer have a government that we don’t like.” Yet, under the current system, they now have a government with which they are more satisfied. And the motivation of wanting to change the electoral system is less powerful [My translation]. Thank you, Prime Minister! You just put forward one of the main arguments in favour of single-member plurality: this system allows voters to make a decision and get rid of one government entirely and replace it with another. (Yes, we only elect members and not governments directly, but the point is that proportional systems try to impose artificial majorities where none exist, and they thereby allow politicians to negotiate with each other behind closed doors and form coalitions that no one voted for either). Proportional systems in fact make throwing one government out and replacing it with another almost impossible and therefore detract from the very same goal that the Prime Minister himself advocated in his interview with Le Devoir. Single-member plurality allows peaceful revolutions by legitimating opposition and making Belgian-style coalitions, where the Christian Democrats have almost always stayed in power for the last one hundred years, more difficult. Our system also relegates “grand coalitions” of ideologically opposing parties to true national emergencies like forming Confederation itself, fighting world wars, and muddling through great depressions, which thereby legitimates opposition in politics, gives it a healthy outlet, and prevents both left-wing and right-wing extremists from gaining traction. In contrast, Germany has suffered under “Grand Coalitions” of the Christian Democratic Union and the Social Democratic Party – what are supposed to be the two main opposing parties – from 2005 to 2009 and again from 2013 to present. Consequently, political opposition in Germany has been channelled into the far-left Die Linke and the far-right Alternative für Deutschland. As I suggested in my entry from 12 September 2016, “the general election of 2019 will be first-past-the-post.” The Prime Minister has stated his own apathy and ambivalence to electoral reform very clearly, which suggests that he would be content with letting the issue go away; in contrast, reforming the electoral system would require that the government take a firm stance on the issue and actually argue in favour or against something concrete! At any rate, time has already run out on electoral reform for 2019, except instant run-off balloting. At least in those countries that use proportional representation, there isn’t a huge change or lurch in policy. PR allows for shades of gradation and that politics is not a strictly binary system. At least the government is constrained in it’s actions by having coalition partners, NZ embraced PR because the politicians keep breaking promises, and doing the opposite of what they campaign for. Also there were two elections in NZ in 1978 and 1981 where the 2nd largest party formed a majority government, while it is true that the 2nd largest party can form government in countries that use PR, this is most common in Scandinavian countries, it is the coalition partners that decide to do so. It is usually rare for 2nd largest parties to form government anyway. Most Germans wanted the Grand Coalition, if they don’t, then they will be denied a majority. FPTP doesn’t promote moderation by throwing the bums out. People complain about extremist parties, they are represented in mainstream parties in countries that use FPTP. Let those people be have representation, talk about those ideas, and don’t exclude. More countries in the world use PR than use FPTP, very few new democracies use FPTP. FPTP is not a good electoral system for geographically disperse minorities. NZ democracy has improved the representation of the Maori minority who use to only be represented on the left side of the political binary during FPTP, and now are represented all over the political continuum. NZ system of PR has allowed for changes of government, all governments are minority governments that have be stable. Nobody wants to go back to FPTP where one party could impose it’s will on everybody. Stephen Harper got his way most of the time because of the majority government, but he was better when he was in a minority. Justin Trudeau’s government is fresh, but there will be excess because it is a majority government. Minority government are some of Canada best governments because the government had to listen to different viewpoints and make their case for it. The problem is not the electoral system, it is just that people are tired of the mainstream parties in all of the Western Countries, the US oddly enough being the exception to somewhat of an extent. The UK might have been better off with a PR system as there might not been a Brexit Referendum, there would be more checks and balances especially in a country with no codified constitution. Ireland uses STV, and it had a hung parliament, but it’s politics is strange compared to European standards with two center right parties competing against one another, but one if supporting the other in a minority government. That is not unnatural. Politics leads to strange bedfellows. Politics and parties change all the time, what is wrong with one party being party of a government for a long time, if that is what the people want. Alberta has dominant party system with political dynasties that last forever. Coalition Government and/or Minority government can be good government. Sweden has the Social Democrats as the most dominant party in a Western democracy, but it is in decline. I think the preferential voting system would be a good choice for Canada although it is not PR, it will lead to majority government, but at least a Candidate has to get an overall majority of the vote. Canada’s FPTP system has candidate winning a riding with much less than 50%. It may not even benefit the Liberals like they think, they could lose seats with such a system. A system of PR can be designed with threshold from 3% to 5% or a small to moderate district magnitude such as a 3 to 9 member district. I really doubt that Canada’s party system is going to fragment and become as atomized as Belgium. It is very fittingly that you chose Belgium as an example, as it is the first country in the world to use PR since 1899. Canada should experiment and try preferential voting and see how it works for three elections, if not a success, then go back to FPTP or another system to see what fits.